Next Alfa MiTo Coming Stateside? As Alfa Romeo prepares to re-enter the US market, it's considering to launch the next-gen MiTo alongside the 4C sports coupe. 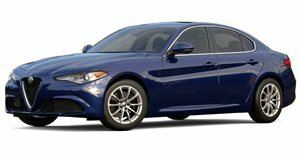 Despite the ongoing assurances from Fiat CEO Sergio Marchionne that Alfa Romeo will be making a comeback in the US in the very near future, we’re still waiting to see dealerships open, not to mention new cars. The upcoming 4C sports coupe will certainly be a hoot and a half to drive but what about more mainstream, less expensive Alfas, such as the current Europe-only MiTo three-door hatchback? A new report from Car and Driver is claiming that Alfa is seriously considering bringing the next-gen MiTo stateside. However, it remains undecided as to whether the 2016 MiTo will remain a hatch or become a crossover. The first option is to make it an evolution of the existing model but that could pose a challenge due to its likely limited buyer appeal. The second and more likely possibility is that Alfa could turn the MiTo into a compact premium crossover along the lines of the Mini Paceman or Audi A1 Sportback. The reason being is that this body style has more global market appeal, thus making it a better business case. C&D claims that a MiTo crossover would be underpinned by the same platform as the upcoming Fiat 500L. Interestingly, that architecture has a modular design which makes it possible to develop both an evolution of the current MiTo hatchback along with a crossover coupe variant. The probable base engine could be the next-gen two-cylinder TwinAir Turbo with around 100 horsepower which can run on biofuel and natural gas. A turbo four-cylinder with 200 hp should be optional along with a plug-in hybrid version. No final decision has been made yet but both options would work just fine for us.